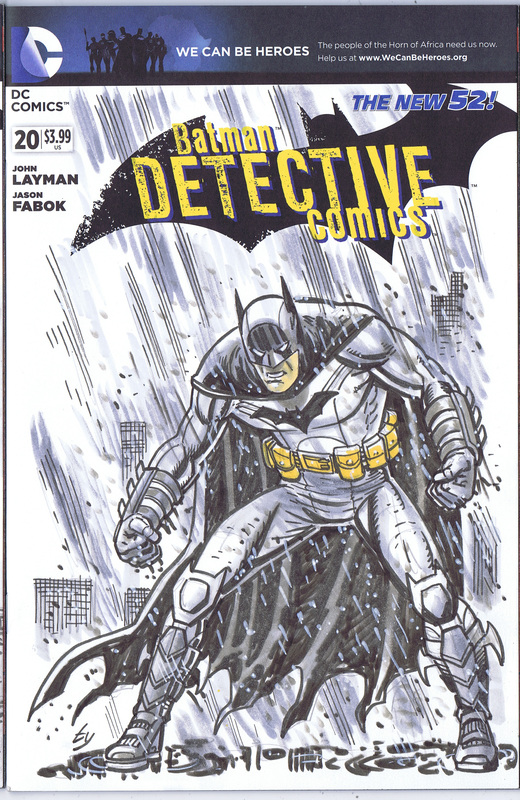 Pre-Con Sketchcover Commissions: Open! | Ty Templeton's ART LAND!! ← Four Characters, Four Panels Bun Toons! YAY! UPDATE: August 29 2015. My list for FanExpo is closed. I will be doing sketches and sketchcovers at the show itself. I will be bringing some blanks with me. 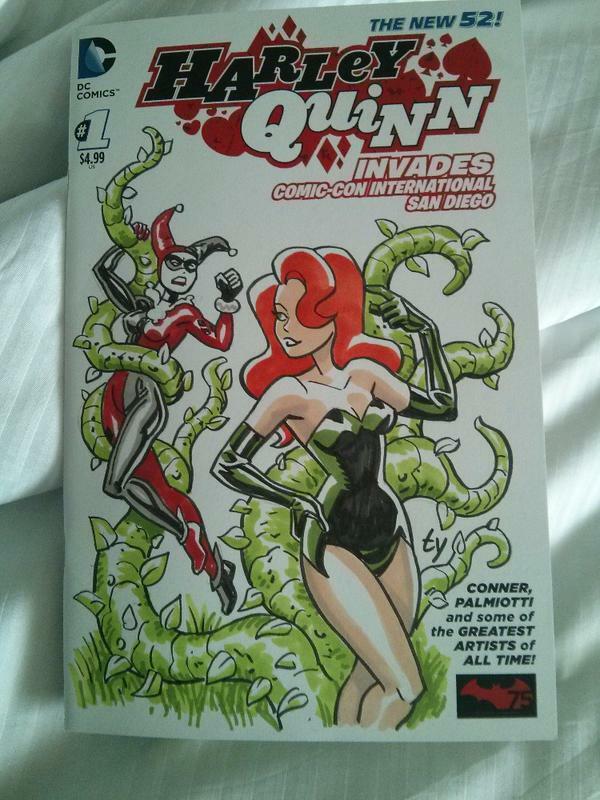 If you want a Harley though I’m all out…check your LCS or the retailers at the show. UPDATE: I won’t be taking anymore requests for Chicago, as I have to get on a plane tomorrow morning! I will be at the convention all four days, sitting at the Hero Initiative booth and will happily do sketches and sketchcovers (although I won’t have any of my blanks with me). When I get back from Chicago, I will be picking up more sketchcovers and will update my list for FanExpo requests then. I generally only do commissions on-site at conventions but after a number of requests, I’ve decided to do some in advance. At the moment, I’m limiting this to sketchcovers. Single figures are $60, Two figures are $90, markers and copics. My next convention is Wizard World Chicago, August 20 – 24. I will be there the whole weekend, holding down the Hero Initiative booth. FanExpo Canada is September 3 – 6. I will be at my own table in the pro section for that show. I have some others ordered; I’ll update the list when I get them. 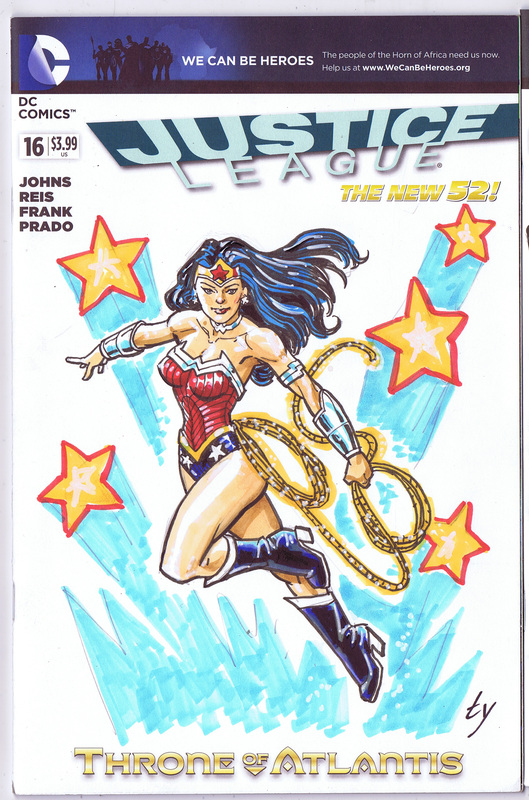 This entry was posted in Commissions and tagged comic book conventions, comic book creators, comic books, comics, convention sketches, FanExpo Canada, sketchcovers, superheroes, Wizard World Chicago. Bookmark the permalink. I hope there’ll be many happy fans and very few no-shows! Those covers are great! 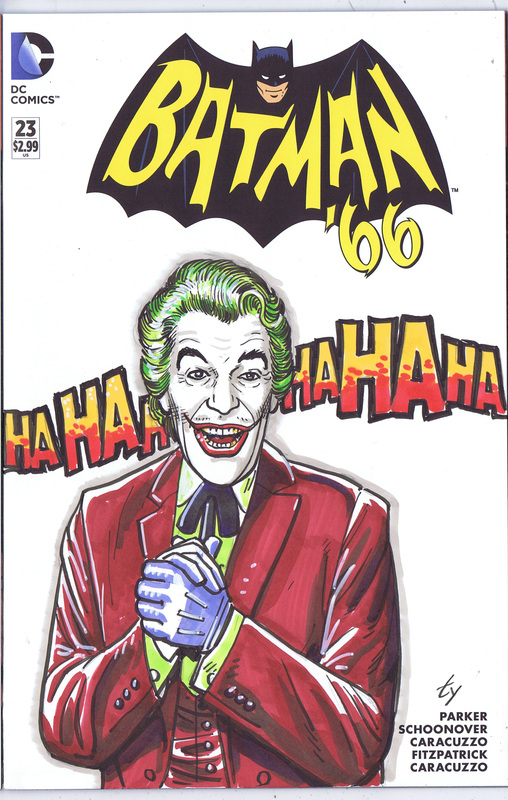 Just replied by email, but again asking here…on the Batgirl, but not on the Batman 66 cover?